Are these online surveys worth your time? It totally depends on how you look at them. Though these survey panels will not make a significant income, these are just for extra cash. There is also a different way to do surveys which I will share with you in the end. Do they pay and how much I earn from paid surveys? Yes, they do pay and how much you make depends on how many surveys you are doing and which ones. But on an average, you can make around $500 from all of these. I have done some in the past and for sure made some good extra cash. Some of the panels give you points, and some pay you money. Finally, you can redeem them for gift cards or cash in PayPal account. Which ones are the legitimate surveys? Well, today’s post is all about finding which ones are authentic. I will list out some favorite paid survey panels which are rated good, and they pay well too. I will only recommend the ones which I think are legitimate. How can you make most from these surveys? 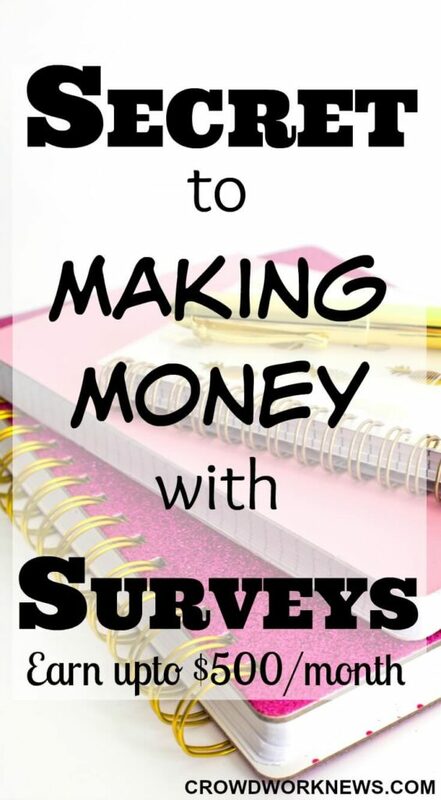 Surveys are an excellent way to make some extra income, but there are some hacks which you can use to make most from them. I will share some tips below which can help you to get most out of them. A very authentic and high paying survey panel. Harris Poll Online is backed by Nielsen, the famous market research company. So, there is no doubt about the legitimacy. You can also get invited to focus groups, telephone surveys, though this might be less frequent. Harris Poll has a variety of gift cards right from Walmart to Amazon. Tip: This survey panel also has sweepstakes and polls. Even if you don’t qualify for the surveys, you get 15 HIpoints per survey which can give you gift cards. So even if you get disqualified, you can still get points when you do enough surveys. Signing up for Harris Poll Online is FREE. Earning Station is more of a GPT (get-paid-to) site with many things to do along with surveys. When you complete tasks or surveys you get ‘Station Dollars’ which you can redeem for cash or gift cards. The biggest plus with Earning Station is, you can do many things apart from surveys like watch videos, play games, sign up for websites or email lists to make money. Tip: Like all the GPT sites, you have many options to earn an extra buck with Earning Station, but the best part is watching the videos. You won’t necessarily have to look at them, just let them play in the background. Attempting surveys which are higher in pay is a good ROI for this panel. Sign up for Earning Station here. This is a unique survey panel which lets you bid and win prizes. You simply do the surveys and earn points which can be redeemed by bidding on the items or enter into sweepstakes. You can also get paid through PayPal. This survey panel is pretty famous for the fact that you can bid or win on things like TV’s, computers or even international vacations. I have heard many good reviews about this survey panel. Sign up FREE for VIP Voice here. Another very trusted survey panel which also has political surveys. The surveys are not usually longer than 20 minutes. Of what I have heard from many, the surveys are interesting and not very redundant. That makes it more fun. The minimum payout is 500 points, and you can redeem from many retailers like Target, iTunes, Walmart and Amazon. You can also get paid in cash via PayPal. Tip: Try to do all the surveys you get, which are minimum 5 to 6 a week so even if you qualify for at least 3, you can accumulate 1,500 points. The key point with this panel is, the rate of disqualification for surveys is supposedly is very low. Sign up for YouGov here. This one I have tested myself and can say for sure is a good paying survey panel, which is totally worth your time. I have cashed out many times, and the money adds up quickly. One unique thing about Valued Opinions is, the surveys are not very long, and sometimes you might get surveys which pay around $8. That’s awesome, isn’t it!! Tip: Try to do the surveys as soon as you get invited because these don’t last long especially the panels which pay more. I have cashed out around $80 easily from Valued Opinions. Sign up here for Valued Opinions. Global Test Market is one of the oldest survey panels around, and I have had good experience with this panel. One of the highlights of this panel is, it is available in many countries, and you get points, or you can enter into sweepstakes even if you are screened out. Of what I have seen, they are only the survey panels who send you regular surveys, so you need to keep a separate email for this. Global Test Market can be a good option if you are looking for a research panel which is available worldwide. Tip: Ok, you are going to get a lot of invites with this panel as it is very popular. The two key points that you need to know are, be very active in doing the surveys and use the referral feature. I get around 5 to 6 invites every day. You will not qualify for all the surveys, but you get entries into the sweepstakes. Sign up for Global Test Market here. Another very legitimate survey panel which is backed by a market giant, Nielsen. Surveys usually take around 20 minutes with a questionnaire to qualify. They also have other opportunities like random product testing and sweepstakes. Apart from getting paid in cash through PayPal, you have a variety of gift cards to redeem like iTunes, Starbucks, Amazon, etc. If you are looking for a good research panel, then this is it. Tip: With PineCone Research, you should fill out your profile as fully as possible, if it is incomplete you miss out on getting more invites. Always respond to the invites as soon as you get them. As this panel is quite popular among survey takers, the surveys get filled up fairly quickly. Sign up for PineCone Research here. 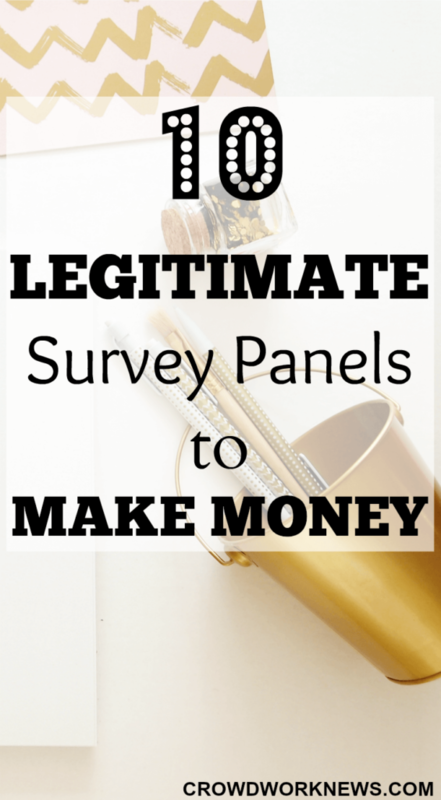 Another popular panel paying high for every survey. When you register and log in, you have the surveys with the rewards displayed, and you get to choose the ones you like. I have read many good reviews about this survey panel, and it is another site which gives you a $5 bonus when you sign up. Tip: You can make more money with this panel if you take all the extra opportunities like referrals, sending your photo with your reward, participating in cash contests. Usually, the high paid surveys get finished very soon, so be quick in doing those. Sign up for Vindale Research here. This survey panel has surveys and other opportunities like clinical trials, research panels and also mystery shopping gigs. Most of the surveys are around 20 minutes long. They have ‘Studies’ available which can get matched to your profile in your area. You just have to choose the surveys. You get paid in gift cards, cash and check. Sign up Survey Club here. Point Club is another survey panel which pays you $5 just for joining. It is a unique research panel which has many activities like videos, promotions, weekly polls and much more earning opportunities. They offer cash via PayPal and many gift cards with major retailers like Amazon, Walmart and more. You can even donate to charity. Sign up for Point Club here. This survey site is also quite famous with survey takers as you get rewarded even if you are screened out. The surveys are also super fun, and the rewards include Payoneer prepaid debit MasterCard, Amazon gift cards and more. The surveys are usually around 15 to 20 minutes long and are available worldwide. Sign up for Clear Voice Surveys here. All these surveys are entirely legitimate. You do have to remember one thing; you are not going to get rich by doing surveys, but they are a good way to make some extra cash. Finally, there are many ways of making money on the side, and this is one of them. I think it is always good to have some good extra money earners along with your main hustle to fuel your needs. If you think this is something you can try, jump right in and give them a shot. Virtual Assistant – This is the fastest growing work-at-home field, and whether it is data entry, bookkeeping, social media management or admin work, you can be a virtual assistant and start making a significant income from home. You can make around $35 an hour as a beginner in this field. Testing Websites – This is not a full-time income option but nonetheless an excellent way to make money on the side. You don’t need any technical expertise for this job. Though the work is not continuous, it can put some extra cash in your pocket. Blogging – I know now for sure you can make superb money from blogging. I started blogging six months ago, and now I am earning almost over $5000 a month. Blogging can be side hustle or a full-time biz but either way, it is a super flexible way to make money online. And you can start your blogging hustle for a low monthly price as $2.95 (remember this price is only through my link and for a short period of time! ), and the income possibility is huge. Plus you get a FREE domain when you sign up for 12 month basic plan. Transcription – This is the most famous of all the work-at-home careers and can give you a livable income online. Though it requires a lot more than typing, you can start your transcription journey if you have some typing skills. Have you tried surveys for extra money? What was your experience with them? Thanks for this detailed list of surveys! The tips with each of the surveys are really useful to make more regular income with surveys. Although I haven’t started my work at home journey as yet, you continue to provide inspiration and well researched opportunities. Thank you! Thank you so much!! I am very happy my posts are helpful and I hope to provide more useful information. I have tried surveys in the past but most of the time I am disqualified. I’ve never made more than $10. What am I possibly doing wrong? Try joining more survey sites (legitimate ones) and more importantly do the surveys when you get notified. It is possible to earn extra cash doing surveys but you need to choose the ones which are worth it.